Thousands of customers depend on Metro transit every day to get to work, to school and other important destinations. Today’s “Passenger Profile” focuses on Yaunah. We’re interested in your transit story too. Email me at mrhibbard@metrostlouis.org and we may share your story in a future blog. Yaunah is not a creature of habit when it comes to her daily transportation routine. She likes to mix it up. She said she starts off most mornings by boarding the #30 Soulard from her home in the Tower Grove South neighborhood to the Civic Center Transit Center. From there, she boards either the #10 Gravois-Lindell or the #97 Delmar to her office downtown. About three days a week though, Yaunah will spice up her commute home. She’ll take the #32 ML King-Chouteau or the #35 Rock Road from the Civic Center Transit Center to Grand Avenue and then board the #70 Grand to get back home. 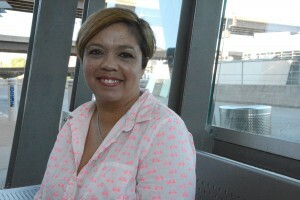 Yaunah has been taking public transportation since 1999, when she used to work in the Communications Department at Metro. While she no longer works for the agency, Yaunah continues to use public transit. 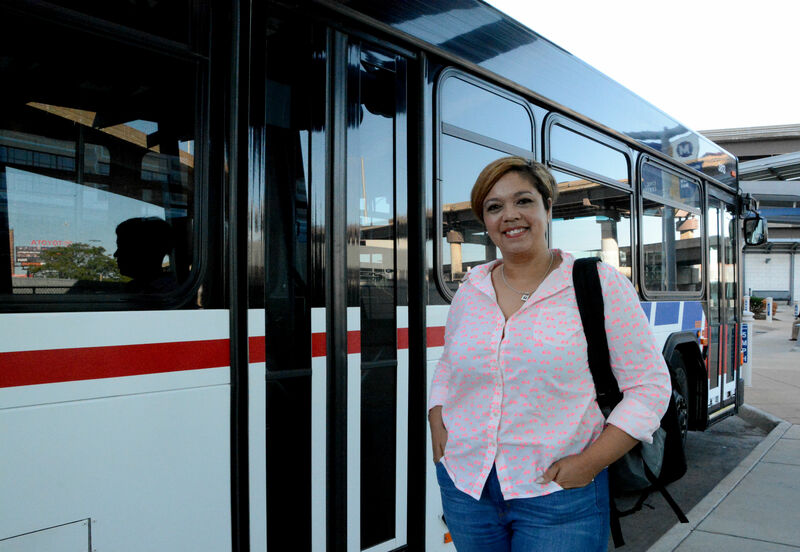 “I use public transportation because it reminds me of my place in humanity,” she said. One example of humanity at work was when Yaunah saw a young man with his daughter on the train. In addition to using Metro to get to work, Yaunah also take MetroBus to get groceries and to attend cultural events. She said taking Metro has allowed her to integrate a bit of exercise into her daily routine as she has to carry her groceries to the bus stop. More importantly, Metro provides Yaunah sanctuary.